Seattle is an exciting urban city surround by unmatched natural beauty. It's known for its music, culture, lifestyle, coffee and famous attractions. This beautiful city wedged between Puget Sound and Lake Washington has recently become one of the fastest growing American cities. If you’ve never been to the Pacific Northwest, Seattle is a great place to start. There's a reason why The Crumpet Shop has been making fresh crumpets for the past 36 years. This charming little shop is located right next to Pike Place Market, and should always be first on your list of priorities whenever visiting Seattle. They serve a variety of delicious sweet and savory crumpets. Pike Place Market has been one of Seattle's most celebrated culinary landmarks since 1907. The market is a feast for the senses — flying fish, fresh colorful flowers, walls riddled in gum, and the aroma of freshly baked goods. In the lower levels of the market you can also shop from a wide variety of stores; including antique dealers, comic book shops, collectibles, and more. There's something for everyone when visiting Pike Place Market. Since first opening in 2003, Pike Place Chowder has been named the "Nation's Best Chowder" three years in a row. After winning their third title, they retired from competition and were officially inducted into the Great Chowder Cook-Off Hall-of-Fame. Luckily for us, they still serve their award-winning chowder daily in the famous Pike Place Market. There is probably no better way to view Seattle, than by seeing it as you cruise along the shoreline of Elliott Bay and the Seattle waterfront. Argosy Cruises offers a variety of sightseeing cruises, like its harbor cruise. If you have an hour to spare, this cruise will help you polish up on your Seattle history. All while marveling at the beauty of Seattle's skyline and historic waterfront. They also have a full-service bar on board for the purchase of specialty cocktails, local wine and beer, non-alcoholic beverages, and of course some snacks. It might not be the best way to start your morning, but the delicious hand crafted doughnuts served fresh at Top Pot Doughnuts is a must when visiting Seattle. From the classic-styled old-fashioned, to sprinkles or apple fritters; they are all sure to delight. They are so good that even former President Barack Obama had to make a pit stop when he was in town. Did we mention that they also roast their coffee to perfection? Even more reason to pay them a visit. 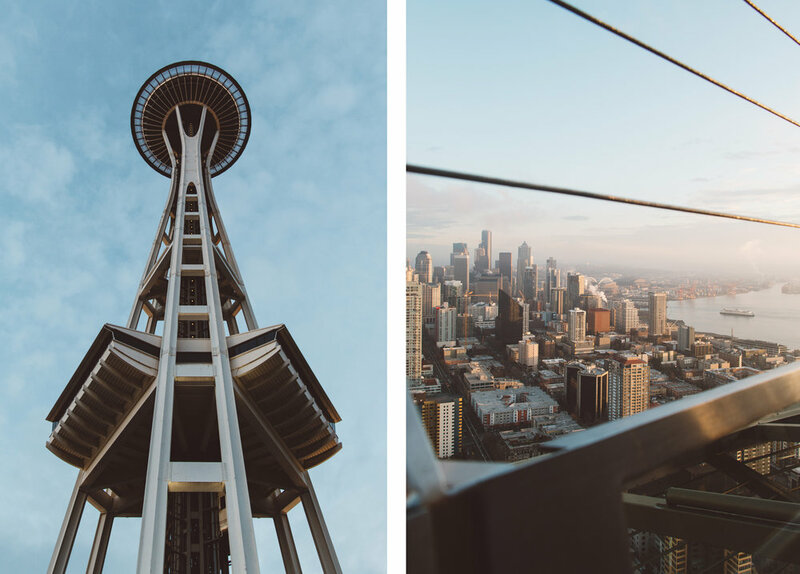 When thinking about Seattle, the first thing that comes to mind for most of us is the iconic Space Needle. Since fist being built-in the Seattle Center for the 1962's World Fair, it has stood tall as an Emerald City landmark. It was even once the tallest structure west of the Mississippi. 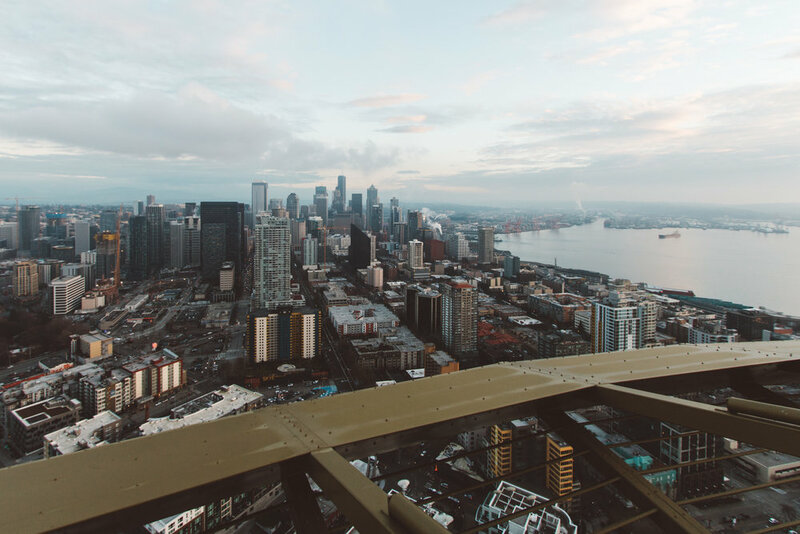 High atop its observation deck you can find incredible 360° panoramic views of the city and a revolving, fine dining restaurant serving delicious Pacific Northwest cuisine. Designed so that every guest can enjoy views of Seattle — Kerry Park definitely does just that. Take a seat on one of the benches and watch as the cruise ships, ferries and sailboats go by. For a great photo opportunity (wait for sunset), or a clear day when Mt. Rainer can be seen off in the distance. 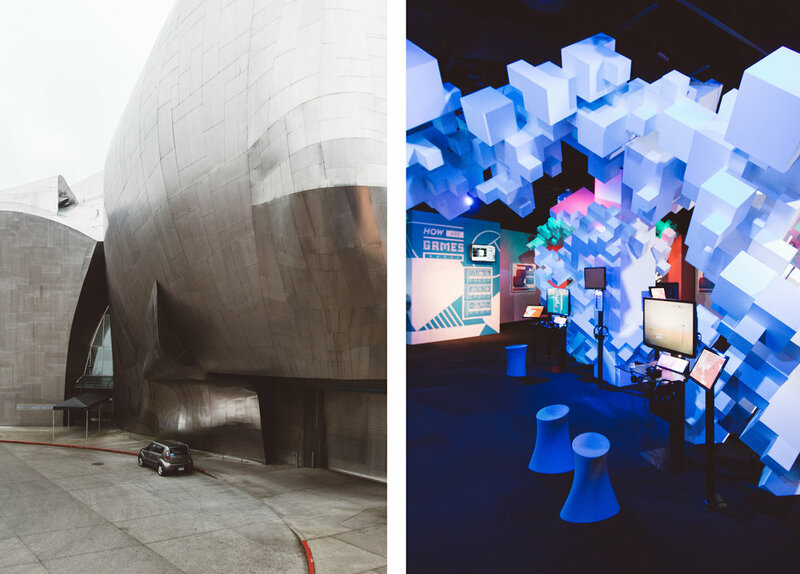 Seattle has an abundance of museums, one of which is equally fascinating as it is designed. The Museum of Pop Culture offers a multitude of community and educational opportunities for people of all age groups and interests. Through music, film and fashion everyone can identify through various forms of pop culture and MoPOP has some of the best exhibits around. In case the MoPOP isn't enough museum for you, take a short stroll over to the colorful Chihuly Garden and Glass exhibit. It's a combination of galleries, lush garden and a centerpiece Glasshouse. All providing a look at the inspiration and influences that inform the career of artist Dale Chihuly. Immerse yourself in the delicate works; all of which are a testament to how Dale Chihuly pushes far beyond the boundaries of glass art. For those planning to visit Seattle during the month of February — make sure to check out Seattle Museum Month. It runs from February 1st to the 28th. Guests at downtown Seattle hotels receive 50 percent discounts at participating museums – and that includes access to several of the region’s most noteworthy 2017 exhibitions in Seattle and the surrounding region – including Seattle Art Museum, Museum of Pop Culture (MoPOP), Seattle Aquarium, Woodland Park Zoo and Chihuly Garden and Glass.